Bryan Kruleski is the manager and dosimetrist for the radiation oncology department at the Cancer Center in Garden City. 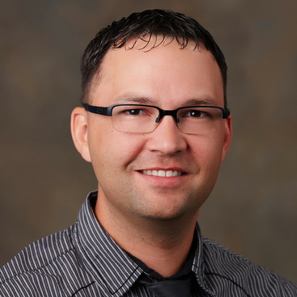 Bryan received his Medical Dosimetry certification from the University of Wisconsin La Crosse. He received his Radiation Therapy certification from Washburn University and his Radiological Technology certificate from Fort Hays State University. Bryan is registered by the American Registry of Radiological Technologists in both Radiation Therapy and Radiology and is a Certified Medical Dosimetrist with the Medical Dosimetrist Certification Board.